More than half of your waking hours are spent at your workstation. Stock it with the best. 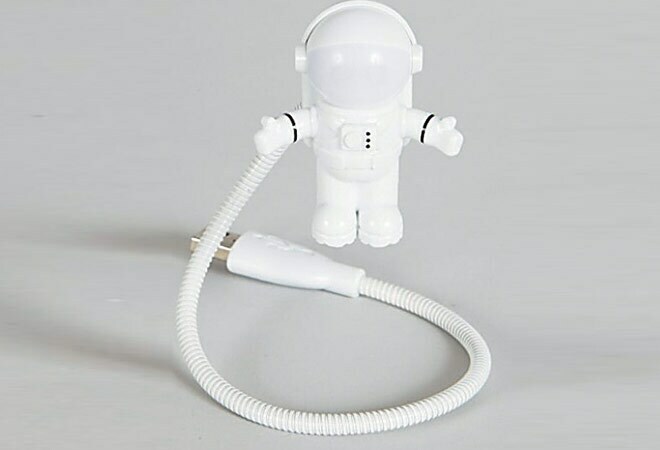 The spaceman USB astro light bathes your computer in a halo of white light while peering at your keyboard. The catapencil, a futuristic solution to common frustrations at modern workplaces, is just the thing for you. A pencil that doubles up as a catapult, it can be used to shoot paper balls at co-workers. This one packs a punch. When you've had a long day and are at the very end of your tether, let off steam with a mini workout. A punching bag that bounces back amiably comes highly recommended. Its novelty value takes a while to wear off, which is why you need to keep this handy. A notepad in the size and shape of an iPhone makes those long meetings a little better.